This may be the shortest song reviewed on this blog to date. The new single by Brad Marino shoots out of the starting block like a 100 meter runner, who manages to continue at that pace over 20 fold the distance before he collapses at the finish line. It is not that C'Mon C'Mon C'Mon is that fast, no, it is delightfully tempoed, melodically strong and captures the poppy side of The Ramones and mixes it with the strongest songs by Blondie. Brad Marino recreates the singing of Joey Ramone as if he's his long lost twin brother. At 2.06 this single has the length of an early 60s hitsingle. And at heart that is what this sped up and pumped song is. Within it it holds all that made 60s singles so delightful to listen to right up to this day. Whether the early Beach Boys, the Beatles and the Stones and all those other heroes, like the Golden Earrings, yes, with an 's' in those days, Q65, Shocking Blue or the Outsiders in this country. Pure pop with an ever sharper edge. 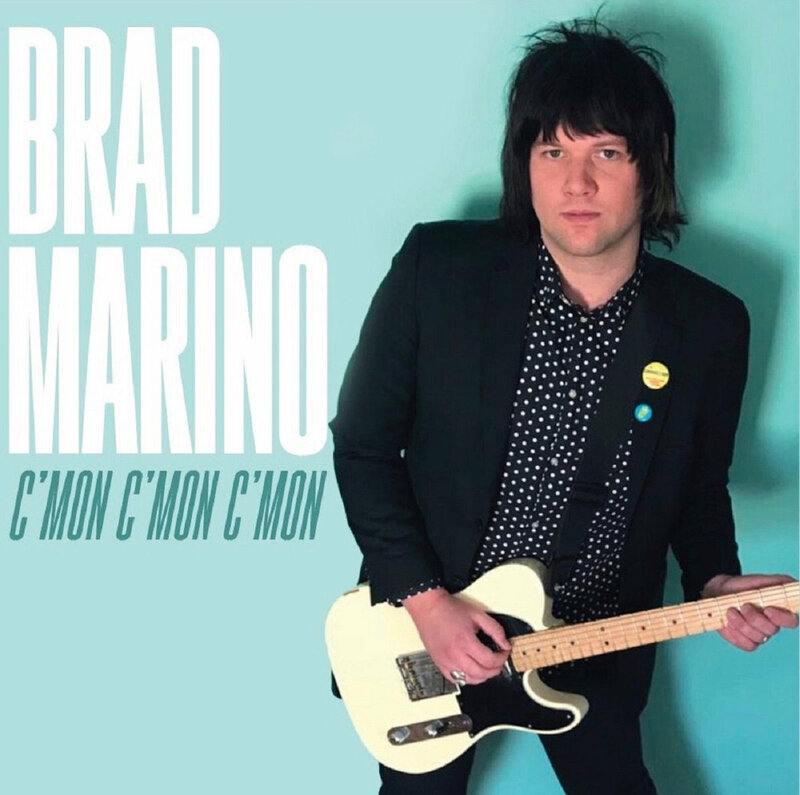 Brad Marino mixes this pop feel with a second half of the 70s pop as that is what the Ramones et al produced at the time; when all is said and done. Listening in 2019 it is easy to discern those deep pop influences, just like they are in C'Mon C'Mon C'Mon. No matter how short, this single is perfect. Including two different guitar solos for the aficionados and, yes, I am one. So, in all sorts of ways this is the kind of song that makes me happy: from start to finish. Brad Marino and band simply do everything right here. Whatever else one can write about music that has been played over and over through the past decades, this single is simply a stellar release. It holds it all and then some more.